Meido wrote: Episodes have been pointed out that do not support such a conclusion, for example the story of Linj's own training, Baizhang's experiences with Mazu, Bodhidharma's pronouncements regarding flesh/skin/bone/marrow (I recognize that appears late) and so on. But again, I have not seen the sudden-sudden model denied anywhere in Zen as a possibility at least. Linji trained himself in general Mahayana before meeting Huangbo, but after meeting Dayu there is no further studying mentioned. Baizhang's record is sketchy, and it doesn't discuss any training, only some stories with Mazu. And at best we rather look at their teachings about what they said about enlightenment and not stories that are even less reliable, if we are considering historicity and not only the developed canonical view. In terms of books I was thinking more of popular works in the west like Three Pillars of Zen, which presents kensho in a light that has to my mind caused some obstacles for people. Yes, that is more appropriate. Alan Watts and DT Suzuki are also major players here. seeker242 wrote: Curious. What do you think of Linji himself sitting zazen, but at the same time, saying the below? It is a repudiation of the gradualist view. But what makes you think he was sitting in zazen? No such thing is mentioned anywhere. what happens to bodhicitta when one would believe "There is really nothing there that is real to save beings from to begin with"
From the path of seeing (i.e. the first bhumi; the 41st stage of enlightenment) bodhicitta is based on the realisation of emptiness. That's what the Diamond Sutra, and the prajnaparamita scriptures in general, talk about. It is the combined practice of wisdom and compassion. And it still has the intention to save all beings, while knowing that "beings" is only a conventional term. However, ultimate truth is not a negation of conventional truth, but the affirmation that conventional is in fact conventional and nothing more. LastLegend wrote: For sudden-gradual, if one does not practice chanting, recitation, or others, and since chanting or recitation is just an activity, is there an approach that can encompass all activities? In the "sudden-gradual" system one does practise all sorts of things. At the same time, it is possible to reduce everything to a single practice, as long as it is with an enlightened perspective. In Zen that is normally the practice of no-thought, and its derived methods of shikantaza and huatou. LastLegend wrote: Explain more on no-thought. What is commonly known as practice means simply to accord with [whatever state] of mind youíre in so as to purify and relinquish the deluded thoughts and traces of your habit tendencies. Exerting your efforts here is called practice. If within a single moment deluded thinking suddenly ceases, [you will] thoroughly perceive your own mind and realize that it is vast and open, bright and luminous, intrinsically perfect and complete. This state, being originally pure, devoid of a single thing, is called enlightenment. Apart from this mind, there is no such thing as cultivation or enlightenment. Astus wrote: Linji trained himself in general Mahayana before meeting Huangbo, but after meeting Dayu there is no further studying mentioned. Baizhang's record is sketchy, and it doesn't discuss any training, only some stories with Mazu. And at best we rather look at their teachings about what they said about enlightenment and not stories that are even less reliable, if we are considering historicity and not only the developed canonical view. Drifting too far off topic, perhaps, but: the usual story about Linji is that he attained initial awakening under Dayu, then returned to Huangbo and entered that assembly, staying with Huangbo for some years before departing. Later came the episode in which he returned to to visit, interrupting the summer training session and saying he only intended to stay for a few days, at which Huangbo scolded and struck him. After having gone down the road a bit, Linji rethought the encounter, turned around and went back to complete the retreat period. Some time after this comes the episode when Linji receives Huangbo's final confirmation. The point in mentioning Baizhang's encounters with Mazu is that he attained initial awakening upon having his nose twisted. Yet later while serving as Mazu's attendant came the further interview during which Mazu shouted, causing him to have the further experience he later described thus (and which astonished Huangbo when he heard it): "The Buddhadharma is no small matter. Once Master Mazu once roared at me so load that this old monk was struck deaf for three days!" Another one is the episode with Baiyun, in which he describes meeting a group of traveling monks who had all experienced satori, were impeccable in conduct, able to discourse well, etc. but who still lacked something crucial. He disciple Wutsu, who himself had also experienced awakening already, heard this and experienced a consuming doubt lasting seven days that finally resulted in a great insight. Though this is a few generations after Rinzai, of course. So these episodes and others have been pointed to as examples of initial awakening > continued practice including success and failure in ongoing encounters with the teacher and further experiences of awakening > followed eventually by final confirmation/authentication. I recognize these are open to other interpretation. As for the recorded spoken teachings of these masters having greater historicity or being less subject to canonical revision, I couldn't say if that's the case. Astus wrote: Yes, that is more appropriate. Alan Watts and DT Suzuki are also major players here. Astus wrote: But what makes you think he was sitting in zazen? No such thing is mentioned anywhere. I think it safe to assume that since he participated in the monastic activities he did what others were doing, for example the several times he is mentioned participating in manual work. We do have the episode of him being caught sleeping in the monk's hall (where meditation took place). One could interpret that as a negation of meditation, but we see that Huangbo also gives his assent to the head monk there who was indeed sitting in meditation. So in any case, it serves as confirmation that sitting meditation practice was going on under Huangbo, at least for those to whom it was useful. At the end of the day I'm rather fond of the approach which flexibly allows for any possibility, while having concrete methods matching the reality of most students' capacities. If that is to be considered a compromise in response to these kinds of questions, I think it a good one (and I would say it is the approach which Rinzai Zen settled upon and expresses as part and parcel of an Ekayana orientation). Meido wrote: As for the recorded spoken teachings of these masters having greater historicity or being less subject to canonical revision, I couldn't say if that's the case. "As I have shown in a previous publication, none of the encounter dialogue stories or exchanges, neither those that feature Baizhang nor any other Chan monk, can be traced back to the Tang period. From what we know, the encounter dialogue format was not even known during the Tang dynasty." "The Extensive Record is an especially valuable source of information about Baizhang’s teachings, and it is also among the most valuable resources for the study of Chan doctrine from the Tang period." "The story of "Ye yazi" or "Wild Ducks," for example, according to the early record in Wuxie heshang, in volume 15 of Zutang ji, originally was attributed to Baizhang Weizheng, but in later records, such as juan 3 of Wudeng huiyuan, juan 1 of Guzun su yulu, and juan 6 no 53 of Biyan lu, its attribution was changed, and it became the most important enlightenment dialogue written by Baizhang Huaihai." As for Baizhang's teachings in his Extensive Record, he was less a subitist than Mazu or Huangbo, as he used a three stages system of progressive elimination of attachment, nevertheless, it ended in buddhahood that could be accomplished in this life. Regarding the relevance to the Western Myth, because Zen introduced itself primarily through the stories rather than the teachings, it gives the impression of unintelligible mysticism realised suddenly, as in both the wild ducks and the deafening shout story Baizhang attains enlightenment, but the stories do not give any useful information on how one could accomplish the same, besides the idea that one needs to find an enlightened master. And that brings us to the elevated status of the Zen teacher within the Western idea of Zen. I think it safe to assume that since he participated in the monastic activities he did what others were doing, for example the several times he is mentioned participating in manual work. My reply was for that particular situation when Linji gave that teaching. The record says, "At the evening gathering the master addressed the assembly" (師晚參示衆), the usual situation of shangtang, ascending the hall, i.e. giving a lecture. So, unlike what seeler242 said, the teaching was not given during a meditation session. At the end of the day I'm rather fond of the approach which flexibly allows for any possibility, while having concrete methods matching the reality of most students' capacities. Yes, that is the reality of a viable Buddhist community. And there is a palpable difference between the literary works of Zen and the daily activities of a Zen monastery. But at the same time, literary works can have a strong influence of what activities are considered Zen and what sort of Zen is expected by people. I think it is still the general scenario that those disillusioned by both the traditional religious and New Age arena, and by materialist consumerism, turn to Buddhism as a third alternative. In my opinion, while the "meditation only" approach can work to a certain extent, it fails to generate a stronger connection to the Dharma within a larger community, making Buddhism vulnerable to changes in social trends. For example, the lack of younger generation in Zen communities, as perceived by some (like here). Astus wrote: Regarding the relevance to the Western Myth, because Zen introduced itself primarily through the stories rather than the teachings, it gives the impression of unintelligible mysticism realised suddenly, as in both the wild ducks and the deafening shout story Baizhang attains enlightenment, but the stories do not give any useful information on how one could accomplish the same, besides the idea that one needs to find an enlightened master. And that brings us to the elevated status of the Zen teacher within the Western idea of Zen. That may be true. And we add to those stories the additional, more recent material in mentioned works like Three Pillars. Regarding teachers: the Zen that reached the West already considered teachers indispensable, and had clearly defined their roles a long time ago. But as Westerners encountered that armed with their own presuppositions and conditioning - and without a lot of key background information to clarify the situation, as you point out - I can agree that certainly confusion has sometimes resulted. This is compounded in cases where Japanese Zen teachers may have themselves sometimes been unclear which expectations they held of their students were truly in accord with practice, and which were more cultural. The imperative as always: to see clearly and broadly enough to use forms, teachings, and practices without being used by them. Astus wrote: In my opinion, while the "meditation only" approach can work to a certain extent, it fails to generate a stronger connection to the Dharma within a larger community, making Buddhism vulnerable to changes in social trends. No argument there. Though we should remember that some traditional approaches will stress an engagement with the teachings before engaging in practice, some simultaneously with practice, and some later after practice has come to some fruition and in order to clarify, confirm or seal one's experience. Some folks who complain that the Zen they've seen lacks such engagement may have just run into the latter approach without knowing it. Meido wrote: But as Westerners encountered that armed with their own presuppositions and conditioning - and without a lot of key background information to clarify the situation, as you point out - I can agree that certainly confusion has sometimes resulted. I think changing to a fully lay environment that lacks all knowledge of Buddhist tradition is a big change. Although lay practitioners have always participated in Zen to some extent - to the level that Dahui recommended kanhua practice only to lay people - but the teachings and methods were normally meant for ordained monastics. Some folks who complain that in their experience Zen lacks such engagement may have just run into the latter approach without knowing it. It's good that one can always choose whatever teacher or community one likes, such are the benefits of religious freedom. Although if I look around among the programmes offered by various Zen groups, it's not easy to find one that conducts lectures on sutras and treatises. Which Zen groups and lineages in the West, particularly in the United States, most closely adheres to and resembles Zen as practiced in Japan? Also, what are opinions on the figures that popularized Zen in the West such as Alan Watts and Shunryu Suzuki? Zen anywhere is not a standardized, homogeneous thing. What kind of Zen specifically are you looking for? Centralized, historic organizational structures, temple hierarchies and politics (to my mind, a good thing). Many formal training monsteries (sodo). We have a few. Many priests making a living from running temples (we have some). Rinzai and Soto supported universities. Takuhatsu (a few folks do it here, but it's really not common for obvious reasons). Other than that, there are many groups practicing essentially as they were taught by their Japanese teachers. Some of these teachers tweaked the training forms to better fit, they believed, the conditions here. Others transmitted forms more or less exactly. If you let me know what you're interested in, I might be able to make a suggestion either here or by PM. The record says, "At the evening gathering the master addressed the assembly" (師晚參示衆), the usual situation of shangtang, ascending the hall, i.e. giving a lecture. So, unlike what seeler242 said, the teaching was not given during a meditation session. The quote you give in Chinese 晚參 means exactly "evening meditation session". It does not mean "evening gathering". The stories don't "give any useful information on how one could accomplish the same" but doesn't a person learn that when they get off the internet and go to a real life zen center or temple and meet with actual monks and teachers, etc? From my own experience with "western zen", my very first exposure was the story/koan of Nansen Kills a Cat. I remember it like it was yesterday. I said "what the hell is this nonsense? Some guy putting a shoe on his head? That's ridiculous!" Then I dismissed zen as unintelligible nonsense. But of course after I came back to it, I realized there is more to it than that. What played a large part in that was personally meeting a monk teacher and seeing his behavior, demeanor, his attitude, his aura or whatever you want to call it, etc, etc. Just meeting him in person. The energy that he "transmitted", you could say, when you talk to him there was something quite different about it. Just meeting him was a transformative experience with regards to my attitude towards zen. It is true that at first I put him on some kind of pedestal, but after practicing for a while, the pedestal was naturally disassembled by itself. Isn't "disassembling the pedestal" just part of the practice? Isn't that what it means to "Kill the Buddha"? I've read Three Pillars book also and that was also transformative experience. It provided great motivation to do the practice. And fortunately and perhaps not coincidentally, I had the opportunity to meet Roshi Kapleau in person and attend some retreats at his home/dharma center in FL. Meeting him solidified the idea that "this is real life stuff" not just some mystical mumbo jumbo. Just meeting him and talking to him was a valuable experience. If you don’t understand by yourself, you’ll have to find a teacher to get to the bottom of life and death. But unless he sees his nature, such a person isn’t a teacher. Isn't he saying here that if you don't understand by yourself, you should try to seek out a person who does? Now if you ask the question "Well, how do you know if you meet such a person?" That is a different question and besides the point. Having a wise teacher is always good, and having a Buddhist community to be part of is also good. But it seems like people often have issues with their teachers and communities. It's more of a distraction than a help when that becomes a case of such. For me, I am not searching for a teacher. My teachers are realized Buddhas and Bodhisattvas. I don't know where they are now. But studying their words does help. Huifeng wrote: The quote you give in Chinese 晚參 means exactly "evening meditation session". It does not mean "evening gathering". Yes, I see what you mean. But perhaps canchan is not that old a term to mean practice here, or the evening rituals were not the same as now. I can only rely on some other sources to clarify this, but I of course acknowledge that you may know better. Footnote in Sasaki's version (p 150) says, Evening gathering 晚參. We have no definite knowledge of what this term referred to during Tang times, but in the Song it was an evening meeting of the assembly held in the master’s quarters 方 丈 (see page 131, above). It was informal in procedure, in contrast to the formal service held in the morning in the main hall, when the master took the high seat. And if I understand it correctly, the Buddhist Glossary also gives various meanings here, not only the current system of morning and evening sessions of meditation and recitation. Burton translates it as "evening lecture" (p 21), Shimano "evening gathering" (p 12), Schloegl "evening question period". seeker242 wrote: The stories don't "give any useful information on how one could accomplish the same" but doesn't a person learn that when they get off the internet and go to a real life zen center or temple and meet with actual monks and teachers, etc? Yes, experience in various communities is important. It is good to visit as many as one can, to see that Zen is not uniform. And then one can also see, that this is a human endeavour where anyone willing can take part. The idea that one should "find an enlightened master", is that really an invention of "western zen"? Zen was (and mostly still is) practised within a monastic environment, where one automatically has elders who are one's teachers. The idea that one should look for a "transmitted Zen teacher" was promoted in the Song era to strengthen the Zen school against others. 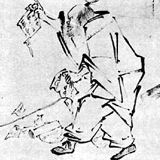 Eventually that resulted in the complete takeover of Chinese monastic leadership, so abbots in China are almost always members of a Zen lineage, just as it is a requirement in Japan that all Zen monasteries are lead by a Zen teacher (thus the transmission became mostly hereditary after the Meiji era). And that's all quite different from the Western perception of the enlightened Zen master. 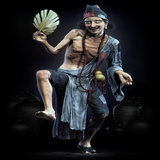 Lindama wrote: I am in the hotbed of zen in the Bay Area.... there are many permutations. Vajra teachers teaming with zen teachers on occasion.... as complementary. A zen teacher in denmark who is studying dzogchen. Obviously, some people recognize the benefit of buddhist community beyond the schools. Many zen teachers here recognize the need for a heart centered practice. And, i know zen teachers who teach lojon. So, hard to put a label on anything. The nature of zen practice allows for the inclusion and exclusion of many things. really is no place to go." Astus wrote: ...just as it is a requirement in Japan that all Zen monasteries are lead by a Zen teacher (thus the transmission became mostly hereditary after the Meiji era). The latter part of this statement is not correct. First of all, "transmission" has a very different meaning in Soto vs. Rinzai lines. In Soto Zen, dharma transmission (shiho) is a ceremony that most ordained persons will undertake at some point. It is a low step in the hierarchy of priestly ranks, so to speak. It confers little more than the authority to serve as head priest of a local temple, as far as I know. So it is common and does not make one a teacher. In Rinzai Zen, transmission is inka shomei which is conferral of full authority as a Zen teacher and lineage holder. The vast majority of Rinzai ordained persons will never have this. It is not required in order to serve as head priest of a local temple, but is required to be appointed the shike (abbot/training master) at one of the Rinzai sodo (training monasteries) and to have students of one's own. A person can be a fully qualified Rinzai priest after training for a few years at such a monastery. But it takes a much longer period of practice before one might receive inka from one's teacher, becoming in turn a teacher oneself. After death, the name of a person with inka will be added to the lineage chart (teido denpo) of that particular branch of the Rinzai tree. Wiki claims there are 50-80 Roshi (people with Rinzai inka shomei, empowered to train students) in Japan. I don't know the exact number but that sounds about right. Of course there are thousands of regular Rinzai priests without inka who are not Roshi and will never take students of their own. They can still give the lay precepts to people, conduct funerals, teach at schools, etc. In any case, neither of these things - Soto shiho nor Rinzai inka shomei - are hereditary. They are awarded by one's teacher. What can be hereditary is the position of head priest at non-monastic temple serving the local community. A person might train for a few years in a monastery, become qualified to manage a temple and conduct ceremonies for parishioners, etc., and then go do off to do so. Since in Japanese Zen (after completing the minimal period of monastic training) ordained men have the option to cease being celibate, such a person may start a family. A priest's son will often follow in dad's footsteps, be ordained as a novice, go off to whatever sodo and teacher his father has connection to, become qualified in a similar way, and then return to take over that position from his father. So in this way, your local temple could have a succession of priests managing it who are generations of the same family (whether they actually have ownership of the buildings or not). But again, these are community temples we're talking about...not headquarter temples or training monasteries where rigorous training takes place. And none of that has anything to do with transmission. Astus wrote: Could you give some examples of those Zen communities where they give a well rounded Buddhist teaching? Well, I offer a sunday school in buddhist teaching in a Kwan Um centre that I run in my town. It's an example. Meido wrote: Wiki claims there are 50-80 Roshi (people with Rinzai inka shomei, empowered to train students) in Japan. I don't know the exact number but that sounds about right. Of course there are thousands of regular Rinzai priests without inka who are not Roshi and will never take students of their own. They can still give the lay precepts to people, conduct funerals, teach at schools, etc. Well may I add a few words of correction at that point? As for rinzai priests, yes they have to spend 3 years in sodo, training at one of the 38-9 monasteries which can conduct such education. Mostly they are concerned with sesshins, zazen, annual observences etc. Anyway since koan training is obligatory we may say that 100% of unsui study koans, and not one, but some more. Depemds on person's capacity. And there is not much to it. Just they have to do it, and it does not have to do much with kensho, satori etc. Yes he may actively teach Buddhism and zen. Just quick look at hundereds of webpages of local rinzai temples may confirm this statement. Plus.. I have a few rinzai friends. They are local priests. And pretty recognized teachers. But they are not inka holders, nor shike etc. And often are asked by other temples to give teachings or are send by their respective honzan on all country tours. Why? since they are pretty gifted and good teachers. What they will not do? Of course they will refrain from giving dokusan/sanzen i.e. mostly will not give instructions in koans. Also they will never take some priestly positions. Anyway they can both actively teach, and take students. And there are some really exellent teachers among them.